This Dark Elven Blade LARP Sword is the perfect combination of elven grace and brutal effectiveness. This sword features a distinctive look with a curved blade, an edged guard and pommel, and a ring-guard on the underside of the hilt. 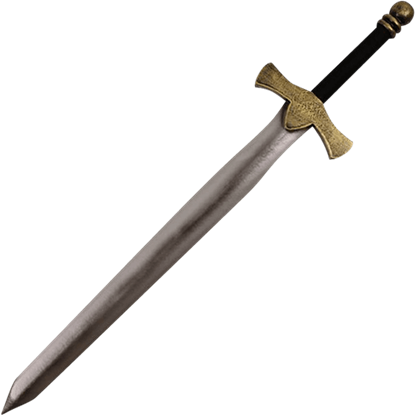 All in all, it is a quality LARP weapon for any discerning warrior. A suede wrapped grip ensures that the sword handles comfortably during your long battles. This quality LARP weapon is made from durable foam, with a strong coating of latex. 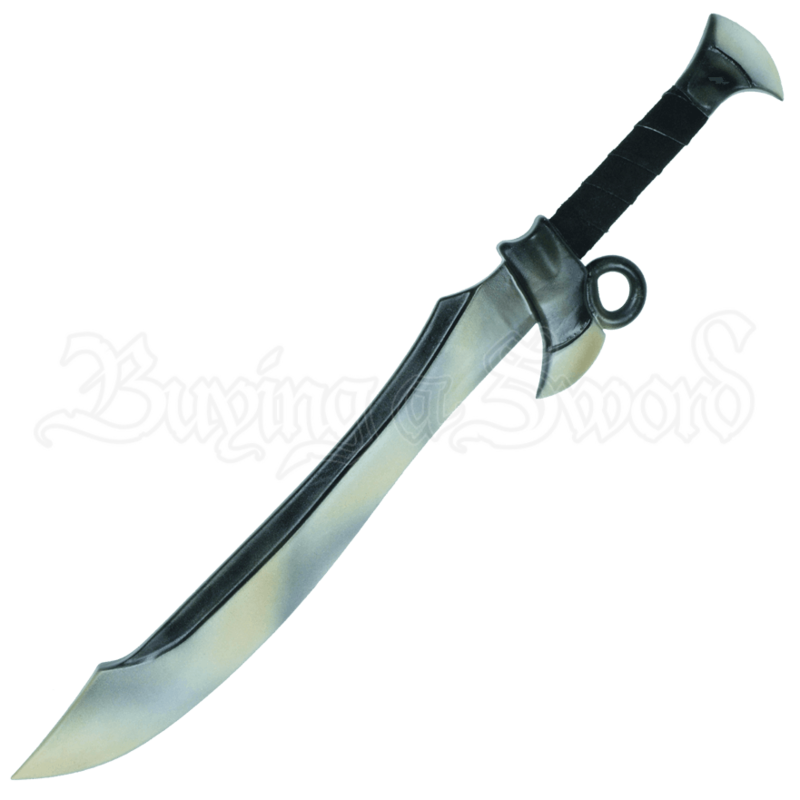 It is an affordable LARP sword that will not disappoint you with its quality. 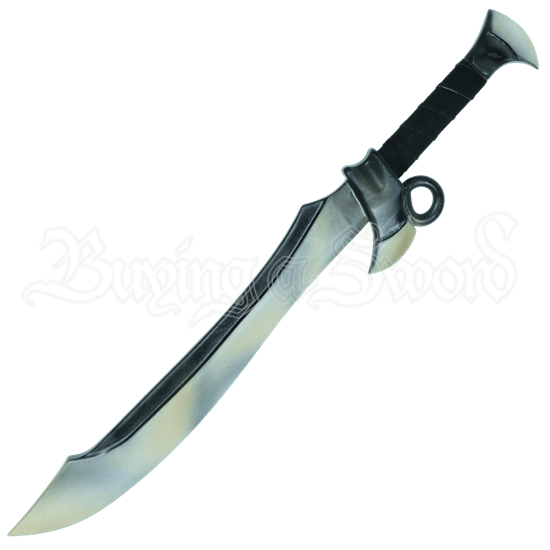 This sword is a handmade item, so its length may vary slightly from what is displayed below. This sword is a handmade item, so its dimensions may vary slightly. Displaying a prominent gold crossguard and ball pommel, this Kings Guard LARP Sword is a stately weapon for royal guards, officers, sellswords, and nobility. This medieval sword also makes a fantastic addition to any cosplay ensemble.